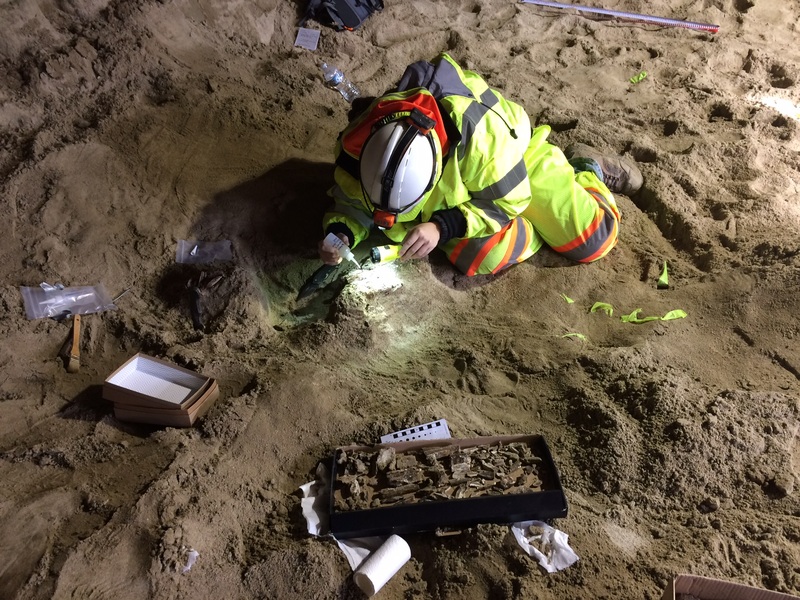 Unearthing the skull and tusks. Photo: Metro. 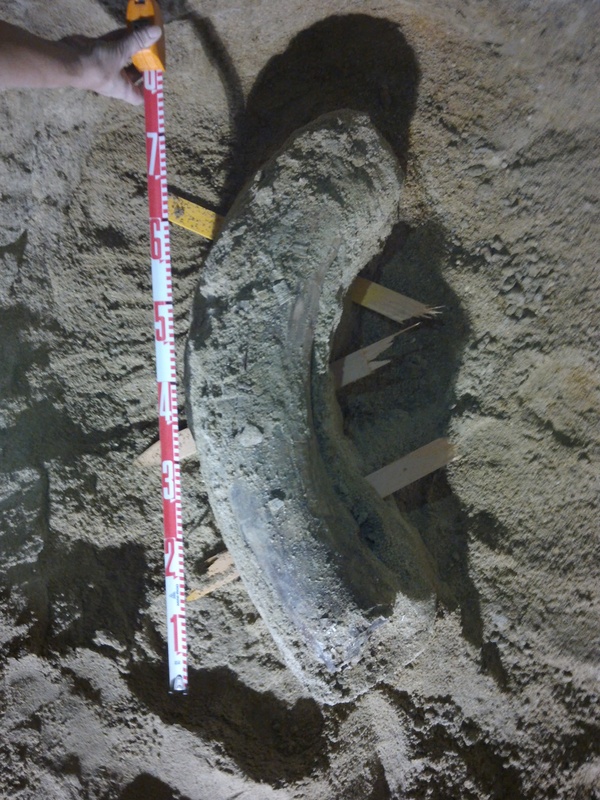 One of the tusks that was found. Another view of the tusk. Photo: Metro. 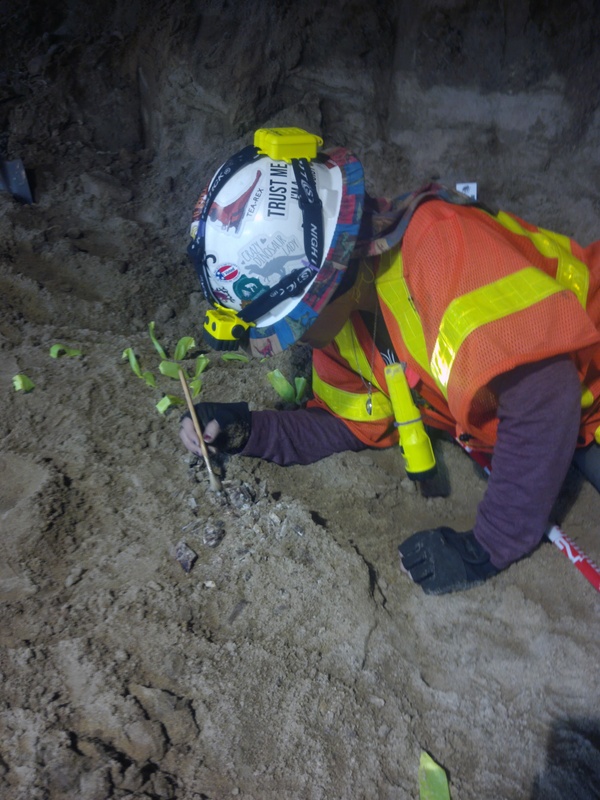 Getting to the fossils through the dirt. Photo: Metro. 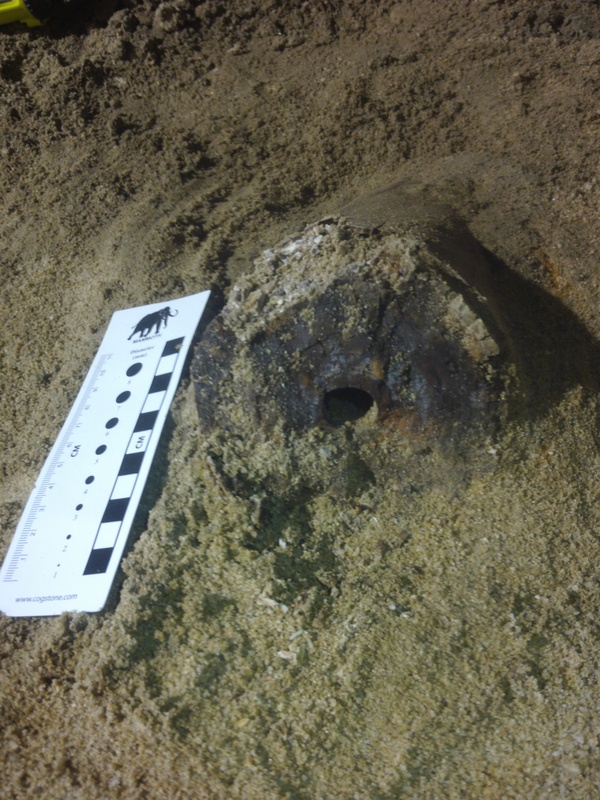 Unearthing the remains. Photo: Metro. 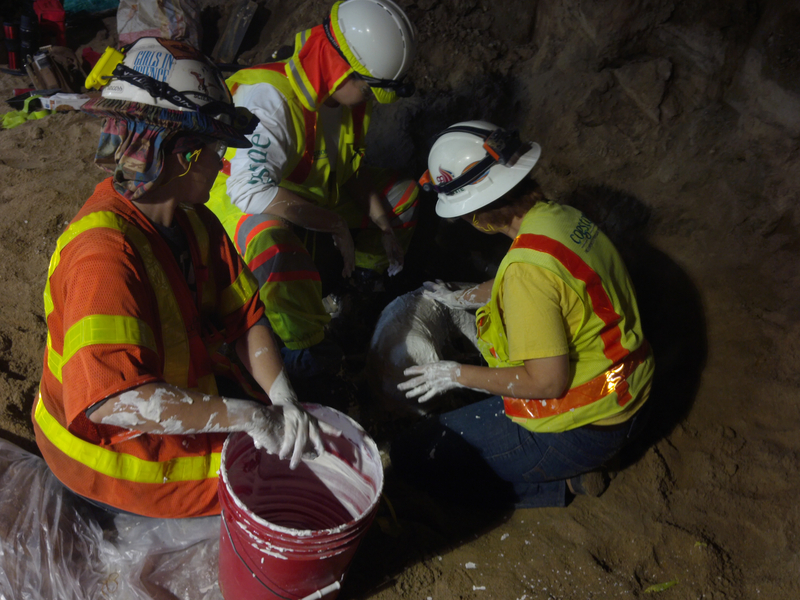 Putting the finds in plaster so they can be safely removed from the construction site. Photo: Metro. 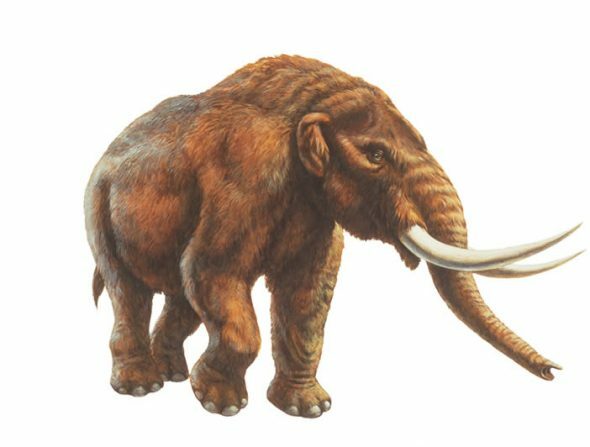 An illustration of an American Mastodon. Credit: La Brea Tar Pits & Museum. 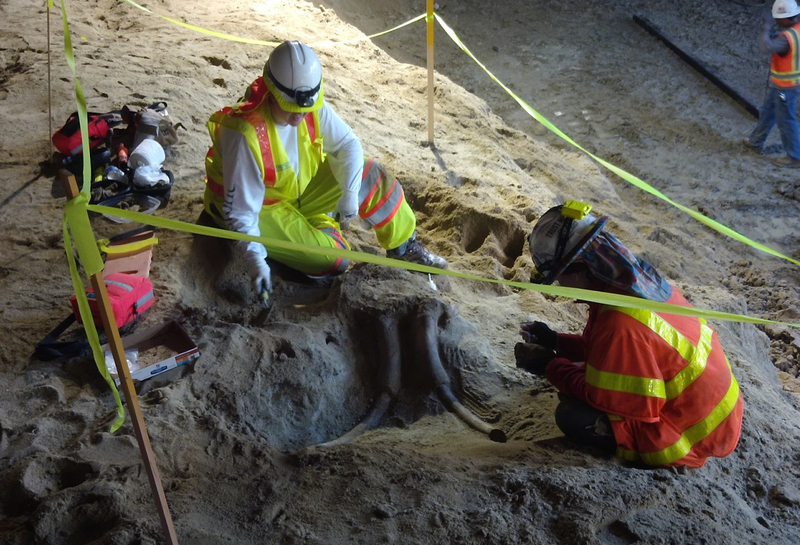 mammoth or mastodon was discovered on Monday in the same location on the southwest corner of Wilshire Boulevard and La Brea Avenue, about 15 feet below street level. How We Roll, Nov. 30: which agency would best police Metro? Gee, they were here only one thousand years ago. Keep digging. Maybe they can find that $300 million or so that sank out of the Sepulveda Pass project. Very Cool! I hope these can be incorporated into a display within the Wilshire/La Brea station, rather than just sitting in a drawer in the museum. It would be a great display on the natural history of the area, and of the station construction, not to mention a good advertisement for the nearby Page Museum (only one stop further West!). Something akin to the archaeological displays Athens put in their metro when artifacts were discovered during station excavation. You mean the tar pits extend beyond the fenced area, who would have guessed. The BIG PICTURED BOOK about the time of the pre-historic animals must have misled the TEXT BOOK professionals at the MTA.